The first Viking Cup was held over the weekend of 7th/8th May 2016. The event was hosted by Cambridge Academy at St Bedes Sportshall. Four Viking countries participated: Finland, Germany, Great Britain and Ireland, including members of nine different clubs. The weekend started with a course for the officials taught by Alain Gernet, visiting from France. Athletes were also invited to participate to help their understanding of what judges look for in competition. From children to veterans, from beginners to world champions, we saw a very good level of Savate. 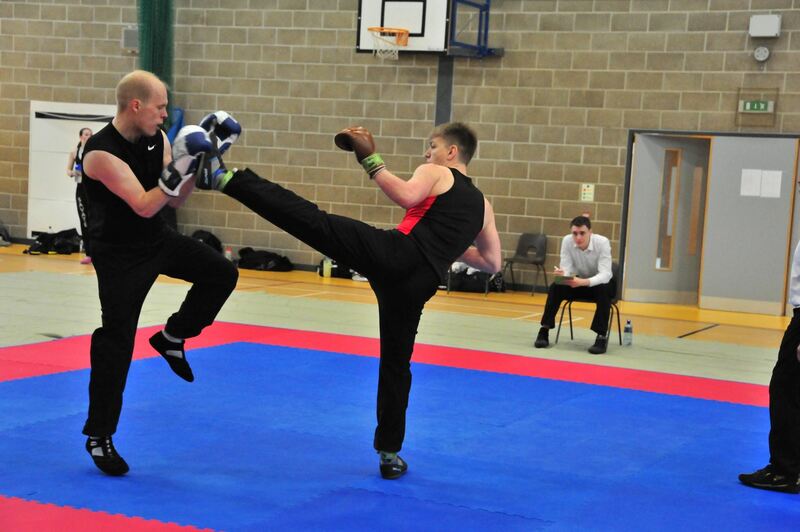 Over two days of competition, 38 assaut matches were held, along with 10 duo bouts. A warm and friendly atmosphere prevailed between athletes throughout the competition. The team officials worked well, and with the spirit of FairPlay between athletes, there were no reclamations. The club with the highest score (top four scores counted) was Cambridge Academy, followed by Helsinki. The nation with the highest score (top 6 scores counted) was Great Britain, followed by Finland. A successful and enjoyable weekend was had by all! Many thanks to all those who supported the event as fighters, coaches, officials and spectators. We would also like to offer a very big THANK YOU to Clare West who provided lunches and refreshments for both days. Ireland will be hosting the next Viking Cup in 2017.